▷1. Plug and Play, no need for any driver or software. What we should do is insert the scanner into USB port of windows PC, Mac, Tablet etc. ▷2. For any setting, eg.add Prefix/Suffix, [Enter], please follow the guide of User Manual or contact us. ▷3. We have wireless bluetooth bar code scanner, welcome to search from our store. 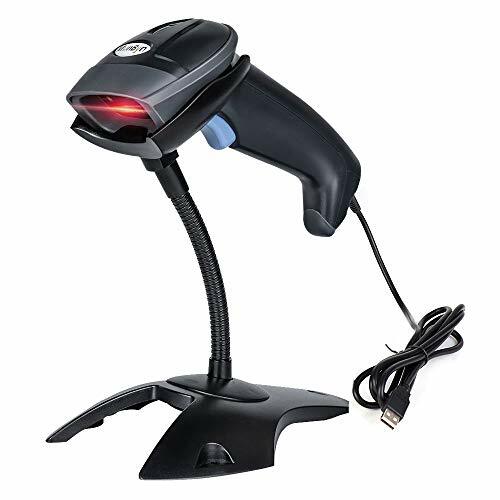 ★PLUG and PLAY★ No need for any driver or software to read bar codes. Not Wireless. Easy installation with 1.5 meters USB cable. You only need to insert the USB cable into usb port of your devices. ★SYSTEM SUPPORTED★ Support Win Xp, Win 7,Win 8,Win 10, all windows system. Android, iOS, Mac, Linux and so on. As long as your device has USB port, no matter what operating system it is. ★CCD IMAGE SENSOR★ It can read Incomplete, plicated, as well as bar codes on phone screen, on PC screen. Please note this only for 1D barcodes. Please check by description. ★USER GUIDE★ You can add Prefix/Suffic/Enter/Tab,etc. by user manual. Download link of User Manual: http://bit.ly/2J5p9I6. ★ADJUSTABLE STAND★ The stand will make your table being clean and tidy. Three scan mode: Manually/Continuous/Automatic inductive on option. Suitable for retail shop, supermarket, Grocery store, Clothing Shop, Restaurant epayment. If you have any questions about this product by MUNBYN, contact us by completing and submitting the form below. If you are looking for a specif part number, please include it with your message.